Muslims may also point towards the sky when supplicating or speaking to God, but this is not a religious requirement. On January 6, 2017, which happens to be Three Kings Day -a holiday related to Christmas and widely celebrated in the Spanish-speaking world- a US military veteran of Puerto Rican descent opened fire in Fort Lauderdale-Hollywood International Airport killing five people and injuring eight in a senseless shooting rampage that ended with him running out of ammunition and surrendering to police. While the authorities still attempted to identify the motive that drove Esteban Santiago-Ruiz to load his weapon in the baggage claim area’s restroom and randomly shoot his victims, the media had already scrambled together a profile for the disturbed young man. He was 26 years old, born in New Jersey and raised in Puerto Rico. He joined the national guard and served in Iraq for a year, where he lost one of his close friends and came back “mentally disturbed,” according to family members. He was allegedly delusional and had complained of hearing voices, being under the influence of “mind control” by government agencies, and claimed that he was being forced to watch videos of the Islamic State of Iraq and Syria (ISIS). He said he did not want to hurt anyone, but was obviously feeling inclined to do so. He complained to his family about his nightmares and hallucinations, and they advised him to seek help. In remote Anchorage, Alaska, where he resided, he had visited an FBI office and explained his situation, describing the voices in his head that were inciting him to violence. Nevertheless, after a brief psychiatric evaluation and treatment in a ward that lasted a mere few days, he was released. Despite his history of mental instability and possible PTSD symptoms, he legally owned a weapon (that was returned to him after his release from the mental ward), and was able to check it into his luggage during his voyage from Anchorage to Florida. It was this same weapon that he used to carry out his horrific plan. Authorities had not ruled out terrorism as a motive, but it became evident that Santiago acted alone and that his history suggested psychological issues. Nevertheless, media outlets began digging into alleged ties to ISIS. Because he may have mentioned ISIS in his delusional chatter, the mass shooting was suddenly being analyzed as a possible act of “Islamist Jihadi terrorism,” even though Santiago-Ruiz was not even a Muslim. These claims became more preposterous as news programs and internet articles began displaying a picture in which the suspect was wearing a keffiyeh and posing with a closed fist and a finger pointing to the sky, as proof of Santiago’s allegiance to ISIS. When Santiago-Ruiz’s brother was interviewed by the media in Puerto Rico, he stated that he and his brother were raised as devout Christians, and that his brother did not convert to Islam, nor did he follow any radical ideology tied to a terrorist group. The last time he had spoken to his brother was just two weeks prior to the shooting. He explained his brother’s use of a keffiyeh, an Arabic headdress often used as a fashionable neck scarf by people of varying faiths worldwide, in the photograph in question, as a souvenir that he had bought during his tour in Iraq. His brother posed for a picture sporting the accessory around his neck and shoulders, just as many celebrities such as David Beckham, Kanye West, Rihanna, Chris Brown, Cameron Díaz, Colin Farrell, Shah Rukh Khan, and Rachel Ray have. 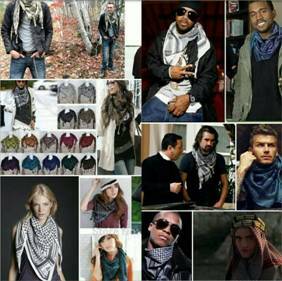 The keffiyeh, although originally an expression of Arab identity, is a fashion trend that has been embraced in celebrity culture, as well as popular culture across the US and throughout the world. However, the media is determined to link this piece of clothing to terrorism, and while doing so, maligning millions of people around the world who wear it. They profess that it is characteristically Islamic and tie it to radicalism, thus giving a false impression to the ignorant masses. The finger pointing to the Heavens, also being scrutinized by the media and anti-Muslim groups as a symbol of ISIS, is neither an Islamic tradition nor is it exclusive to the Islamic faith. The references to this gesture in the traditions of the Prophet Muhammad do not declare it an obligation or even a regular practice for Muslims, other than when Muslims are in the sitting position during ritual prayers, when they declare God’s Oneness while pointing with the right hand which rests on the knee. However, this pointing is not towards the sky, but rather the finger is kept pointing straight. 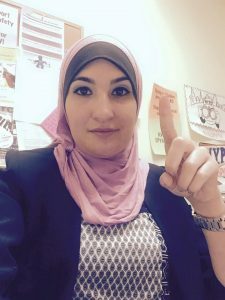 Recently activist Linda Sarsour came under fire for a 2015 photo of her raising her index finger. It has become common for Muslims to declare the testimony of faith, or the Shahadah, while pointing up to acknowledge that their worship and faith is only for Allah , or God Almighty, alone, as indicated in the above narration. However, there are few references to this gesture being used or encouraged on a regular basis by Prophet Muhammad’s companions and other generations after them when embracing Islam. It is not an obligation, and thus not necessarily symbolic of the religion itself or of pledging allegiance to God or to any Muslim ruler. Moreover, pointing towards the sky with a single finger is nothing new to other religions or to pop culture. Famous paintings, such as Da Vinci’s Christian rendition of Saint John the Baptist, depicts this famous religious figure pointing to the Heavens. Oftentimes, after a basketball player scores points or a soccer player makes a dramatic goal, they celebrate by pointing towards the sky. When an MMA fighter wins a championship or when an Olympian earns a medal, they also use this common gesture. It signifies recognition and respect towards a Supreme Being, known to Muslims and people of other faiths as “The Most High,” or the Lord and Creator who dwells above the Heavens. For religiously-affiliated individuals, to point skywards is to acknowledge that God is in control and scoring a victory can only be achieved through His Grace. It can also symbolize “being first” or being “the number one”, “the best,” etc. 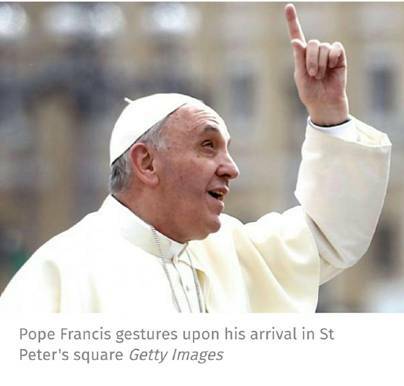 To say that pointing up when one poses for a picture or when declaring God’s Oneness represents terrorism or a terrorist group just because its members have been depicted as doing so, is tantamount to asserting that making the sign of the cross is emblematic of paedophilia, only because a considerable amount of Catholic church clergy have been accused or found guilty of lewd acts with minors. It is claiming that the Virgin of Guadalupe is a symbol of the Mexican drug cartel because its thugs and traffickers venerate her and have her image tattooed on their bodies. 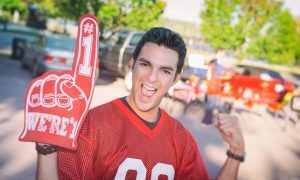 It is accusing baseball fans of radicalism for wearing foam fingers! The fact of the matter is, that a religious symbol or gesture should never be associated with criminal activity only because criminals have used it for whatever reason. It is irresponsible and is an attempt to censure religious expression and freedom. Ironically, it is the very same people who claim they are the champions for freedom of speech who promote the suppression of religious expression, whether it be religious symbolism, worship, or attire. While ISIS is considered globally as a terrorist organization, its members and sympathizers claim it to be an “Islamic caliphate” or empire which has expanded from Iraq to Syria, with affiliate groups in Africa and other parts of the Middle East. 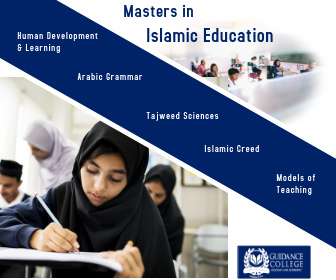 As with most terrorist groups, their motives are political in nature, however, Western media have proclaimed that spreading Islam is their driving force and their mission is to eliminate the disbelievers or infidels from the face of the Earth. This cannot be further from the truth, because in the very same book that is read by more than 1.7 billion Muslims worldwide, God commands that there be no compulsion in religion [(لاَ إِكْرَاهَ فِي الدِّينِ) The Holy Quran 2:256]. The Quran, as well as the teachings and traditions of Prophet Muhammad and his followers, promote religious tolerance, and the overwhelming majority of the victims of ISIS and similar groups are Muslims. The bottom line is that just because a group makes an outrageous claim or takes ownership of a symbol without right does not make it credible. There are other symbols manipulated by ISIS in its propaganda, such as its use of a black flag decorated with the Islamic declaration of faith, “There is nothing worthy of worship but Allah and Muhammad is His Messenger,” however, this does not represent Islam or Muslims. They have merely hijacked this statement and used it to promote their own agenda and to recruit naïve or uneducated individuals. Similarly, radical groups such as the Ku Klux Klan have taken the cross as an emblem, but the vast majority of Christians denounce their hateful teachings. As far as the shooting rampage that occurred on this Three Kings Day, until proven otherwise, it seems to have nothing to do with ISIS; but rather with the failure of the veterans’ healthcare system to provide proper care to a troubled serviceman. Military and government officials who knew about Santiago’s murderous delusions and his possession of weapons and never did anything about it are equally to blame. Although the FBI and the military knew of Santiago’s psychological issues, the young man was allowed to roam freely and armed, and to travel with nothing but a gun in his baggage. In addition, he sought aid in dealing with his mental health problems, but his cries for help fell on deaf ears. 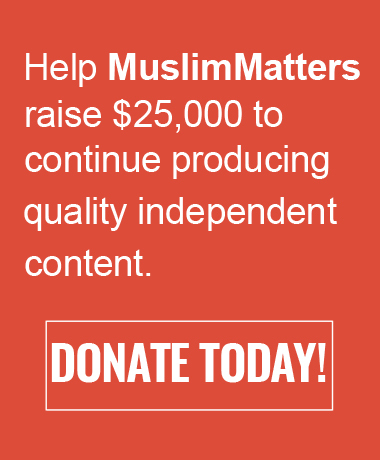 Now Santiago’s five victims are gone, and he remains to face retribution with a possible death penalty sentence looming, but the entire Muslim community continues to be on trial for crimes they never committed. Wendy Diaz is a children’s book author and publisher of the bilingual Hablamos Islam Niños website.